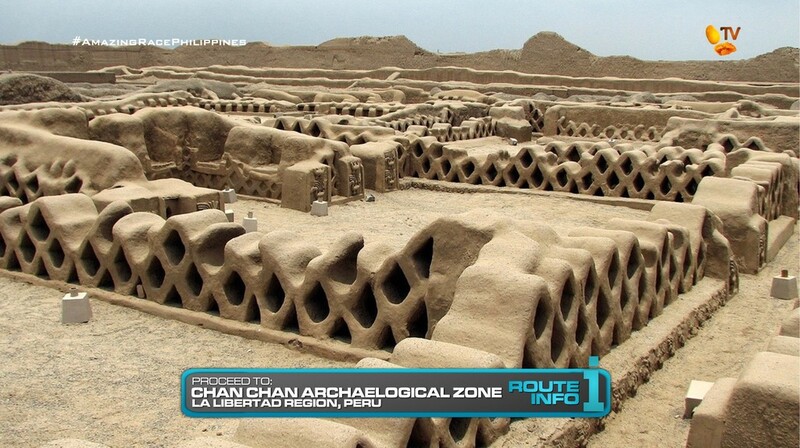 Leg 6 begins with teams taking a taxi back towards Trujillo and to the Chan Chan Archaeological Zone. At this massive archaeological complex, teams will find the Road Block: Who can find its place? 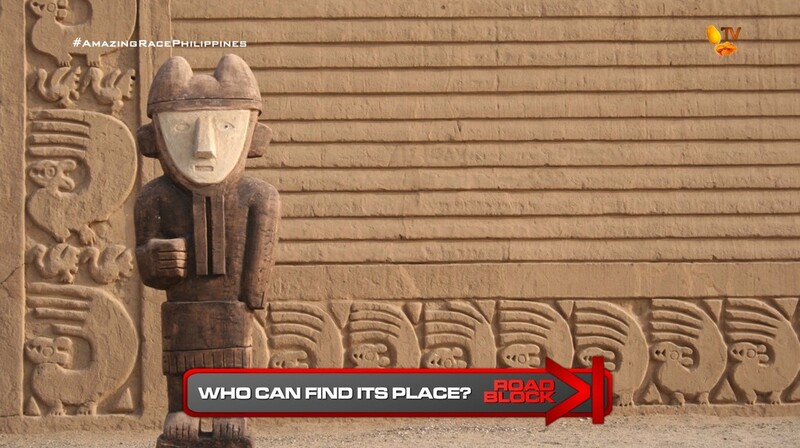 For this Road Block, teams must choose a marked dig site and search for one of several wooden statues believed to have been part of this ancient citadel complex. Once they’ve completely dug out the statue, they must head into the complex and find a wall with holes in which they must place the statue. Once they’ve fit their uniquely shaped statue in the correct spot in the wall, they can receive their next clue. 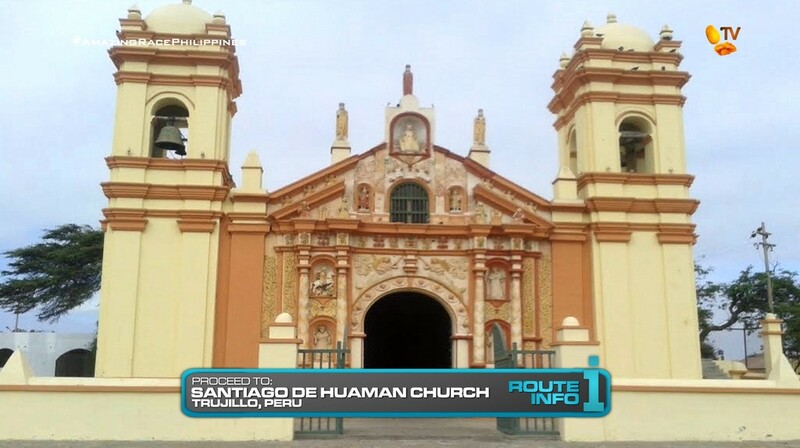 Teams must now make their way to the town of Huanchaco. 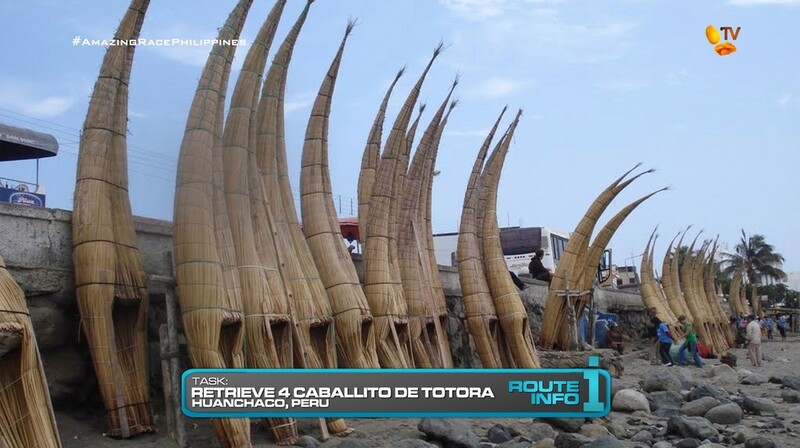 At this historic fishing village, teams must swim into the water and retrieve four reed boats known as caballito de totora. Bringing each of them out of the water, teams must carry the boats to racks placed along the beach. Once the boats are safely secured on the racks, teams will receive their next clue. 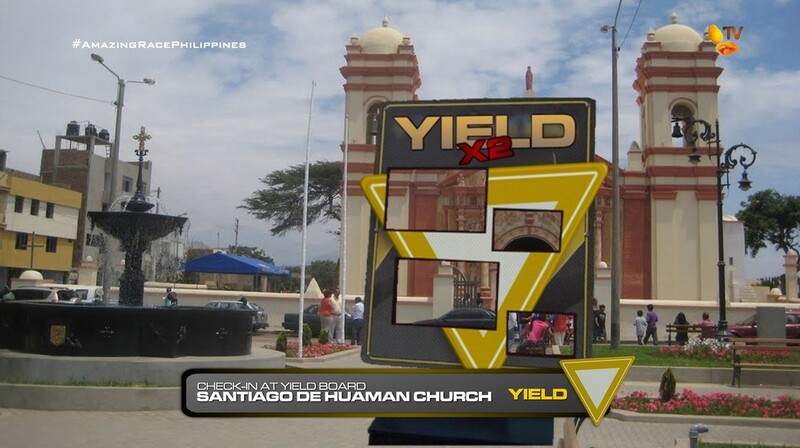 That clue directs teams to Santiago de Huaman Church. And here, teams will find a Double Yield Board! Teams with a Super Yield are allowed to use it here. 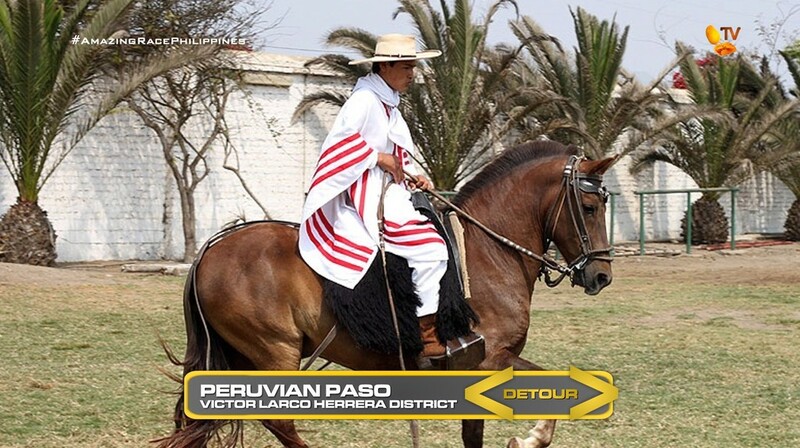 Teams can then open the next clue which reveals the Detour: Peruvian Paso or Peruvian Marinera. This is a BLIND! Detour and teams will not know what each task entails until they proceed to the location. For this Detour, teams must search the Victor Larco Herrera District for either a park or plaza, depending on the Detour. In Peruvian Paso, teams will work with the Peruvian Paso, a breed of horse native to Peru. They will be preparing two horses for competition by properly grooming, dressing and saddling it. Both team members will then ride the horses through a marked course to receive their next clue. In Peruvian Marinera, teams must dress in dancing costumes to learn and perform the traditional Peruvian dance known as marinera. Once the dance instructor is pleased with their performance, they will receive the next clue. 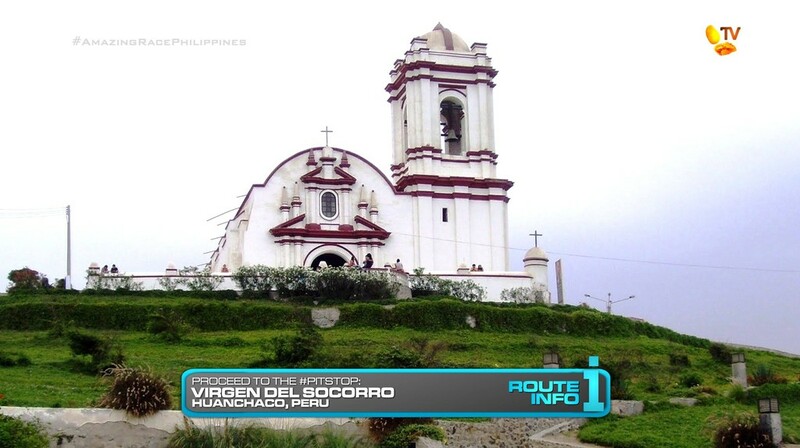 And that final clue of the Leg directs teams to the Pit Stop, Virgen del Socorro in Huanchaco. So Peru is definitely another easy country to have two Legs in. Borrowing a little from TAR26, this Leg has teams in Trujillo though I originally planned for them to travel to another part of the country instead. But this Leg is good enough I think. It’s simple and straightforward, but definitely not linear. Though it definitely looks like a contemporary TAR-type of Leg. The Chan Chan ruins are a must. I couldn’t do TAR26’s adobe brick task since we’ve already done that in San Juan Capistrano! Hehe. But it would definitely be a good task here instead, maybe even making that TAR26 Detour into a Road Block. It would be a very physical task. But this digging and carrying a statue should be a very physical task as well, especially in the heat. 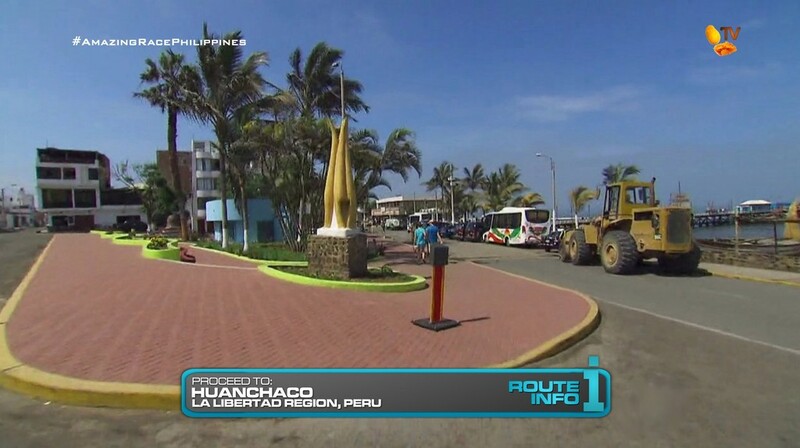 The Huanchaco boat task should actually be a little harder than TAR26’s Road Block. Teams actually have to swim into the water and try to drag that boats back to shore and then carry it across the beach. Should be another physical task. Definitely need more Yields as the U-Turn is not a possibility here with the Detour being last. And this would be a good spot for a Blind Detour since both will be taking place in the same area, just a block away from each other. Teams will be able to freely go back and forth. And I think both tasks will be time consuming. For the Pit Stop, I was hoping to find something different than TAR26’s Virgen del Socorro. But other than Plaza de Armas, which we used in the last Leg, there isn’t really any other outdoor location that would be a great Pit Stop. So this should be fine. Overall, a simple, though solid Leg that should challenge the teams. ← Recap: Power Rangers Dino Charge, Episode 12 – "What a pack of lily-livered fools."